One of the most rewarding things we do is creating items that celebrate the wearer’s individuality. 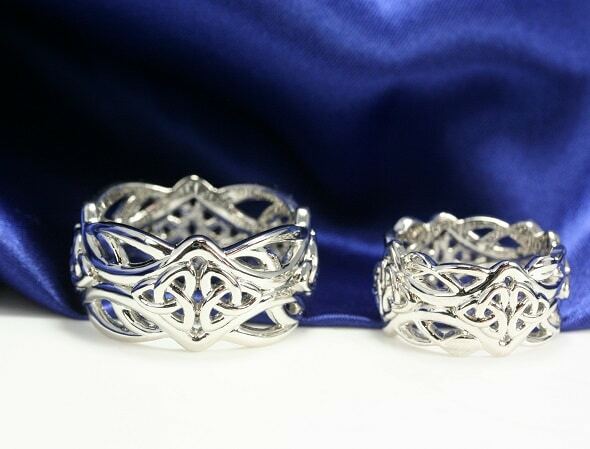 We recently had the opportunity to create complimentary wedding bands for a couple to celebrate their Irish heritage. They wanted to incorporate the trinity knot, with open designs. After exploring various patterns, thicknesses, and shape, we created these two beautiful rings that are similar in pattern, but individualized to each of their preferences. These platinum works of art will be worn with pride for years to come!